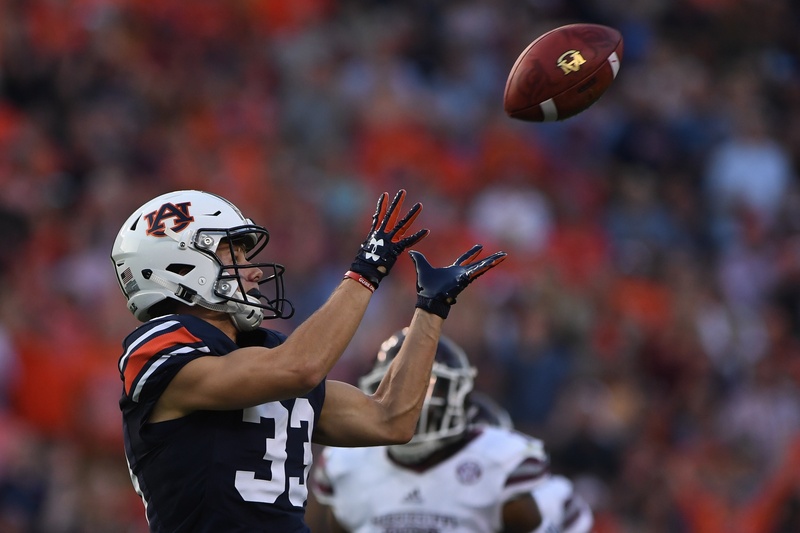 Coming off a high-powered win at Missouri, the Auburn Tigers were looking to keep it going. Coming off a lopsided loss at Georgia, the Mississippi State Bulldogs were looking to stop the bleeding. One of those teams did what they wanted to do, and it wasn’t the one that has Dan Mullen lumbering on the sidelines. Starting with a long run up the middle on one of the first plays of the game, you could tell the offense wasn’t going to have too much trouble. The ball was slung to wide open receivers. The ball was caught by wide open receivers. The jet sweep returned (and worked). It was pretty. Now if there was one thing to complain about it’s that the running game still doesn’t seem to be as effective in years past. The gaping holes up the middle simply aren’t there. 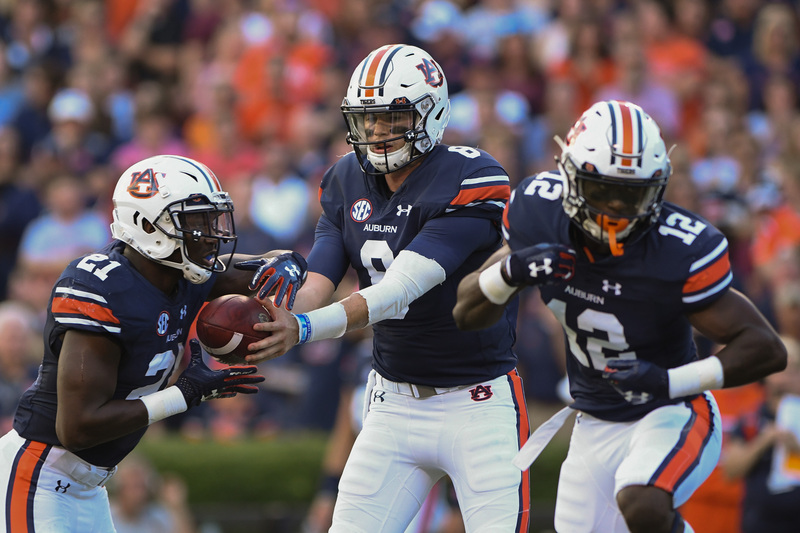 A lot can be said about the fact that Auburn’s two starters are still not close to 100% and their ability to hit a hole, or make a cut, or run over a guy just isn’t there. Later, once the game was in hand, Malik Miller came in and actually had some good runs through the line. He’s healthy and he was able to do it, so maybe it’s just injuries that’s keeping the running game down. Note: Auburn still had 244 yards rushing, so maybe it’s nothing to worry about. But about that passing game, Jarrett Stidham has found it. Yes, he could put a little more on the wide open bombs he’s throwing and they would all be touchdowns, but I’m not complaining. And either the wide receivers have found an extra gear or Chip Lindsey has found a wrinkle because those boys be open. Three weeks ago there was no separation, now there’s 10 yards between them and the nearest defender. PLAY CAWLIN’. And what more can you say about the defense? They are the only team in the nation that hasn’t given up more than 14 points in every game this season. If that holds true, and with the way the offense is improving weekly, that bodes pretty well for the Auburn Tigers of Auburn, AL. Nick Fitzgerald was a dark horse Heisman candidate two weeks ago, and the Auburn defense kept him hemmed up all night. His running ability wasn’t showcased and his passes were deflected or picked all night. This is the steel curtain of Auburn football. As most of the SEC continues to try and pull the good teams down, Auburn keeps moving on up. Even if the league was as tough as it has been over the last decade, you’d still have to be confident that Auburn would be in the same situation they are today. They are good, and they are getting gooder.